Des Mahoney is a qualified teacher with over 15 years of experience and a guitar player since the age of 14. Des has received a number of recognitions including Swinburne TAFE teacher of the year award 2006 and Vice-Chancellor’s teaching award. Now Des combines his love of music and teaching in providing guitar & ukulele lessons to the community. He has accompanied other musicians in CD recordings; played in bush, jazz, and party bands; and sung and played guitar at various charity gigs and local cafés. 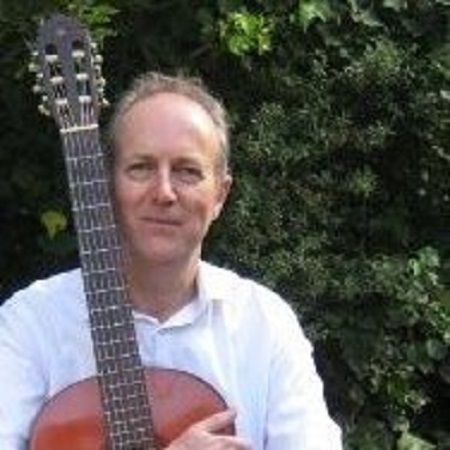 A lifelong learner, Des is currently studying advanced classical & acoustic guitar. Des is inspired by the joy that music brings to people of all ages and abilities. Students of all ages, abilities, and temperaments inspire Des by their excitement of discovery and love of learning music. He has had the pleasure of helping people 80+ who have learned their first musical instrument, the ukulele. Des believes that music is for the benefit of not just ourselves, but for others as well. He encourages students to bring the joy of music to the community – to their friends, family, and others less fortunate than ourselves. The joy of music is his inspiration!